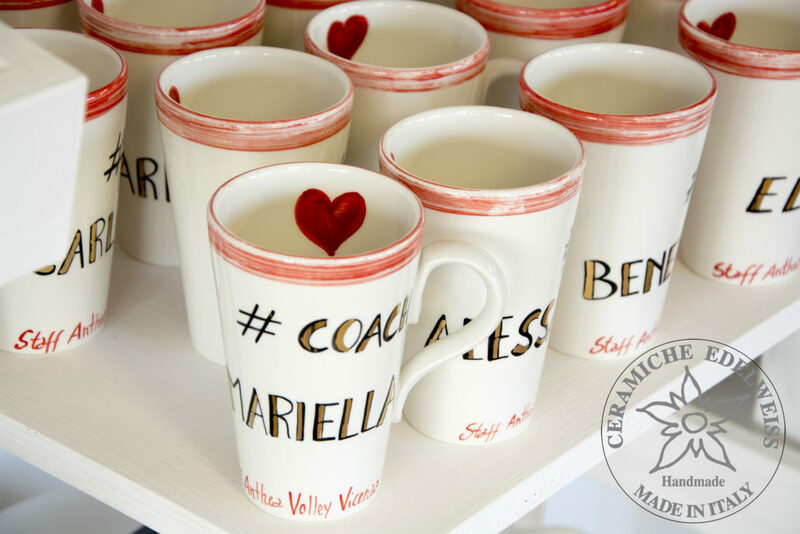 Ceramiche Edelweiss creates customized ceramics, to give as gifts to relatives and friends in the most varied occasions, but also for Sport events, such as trophies for teams and as prizes for participants during competitions. 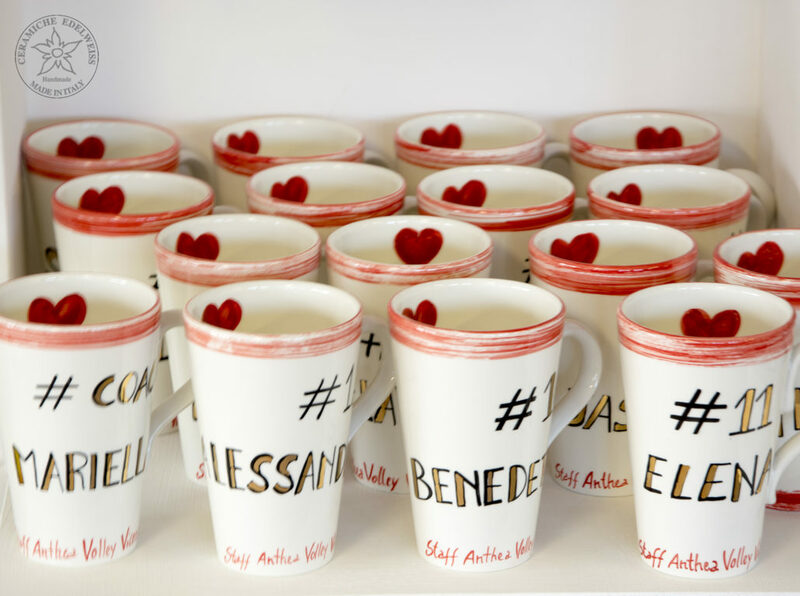 For the next Christmas holidays, for example, the volleyball team Anthea of ​​Vicenza has to us for the customization of personalized cups/mugs. 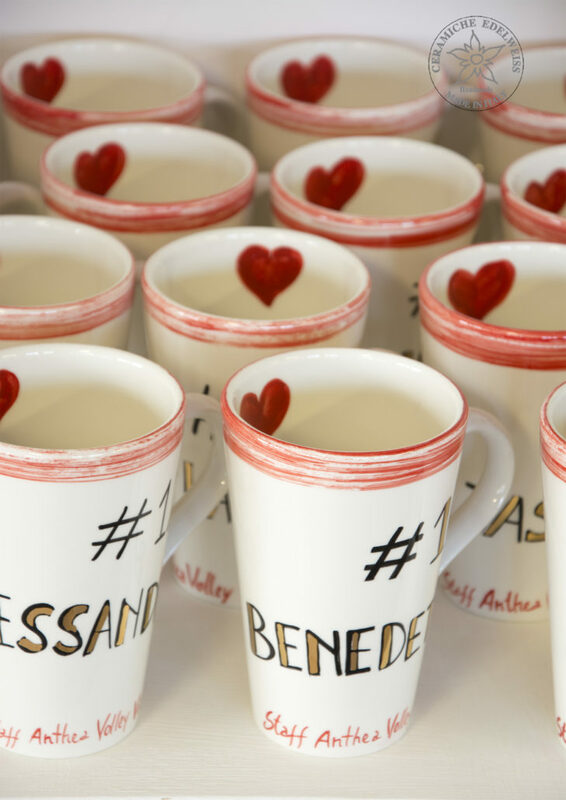 They have been hand decorated by our painters with the name of the players of the team and before the third firing in the oven, some gold details have been added, to further embellish them. 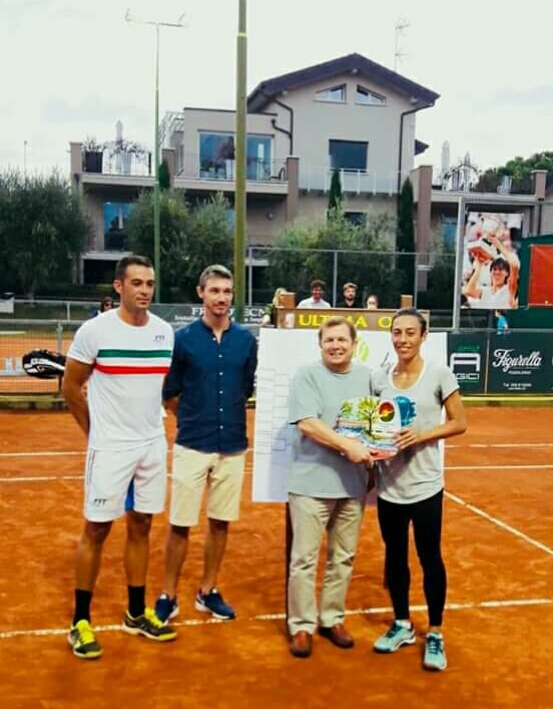 In addition, in prestigious tennis tournaments, the first three classified received as prize our ceramic plates decorated with the tournament logo and a typical landscape made by our company. The famous tennis player Francesca Schiavone, winner of the Roland Garros tournament, received one of our wall plates.